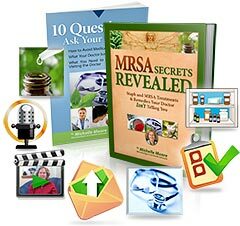 Why is Everyone Choosing MRSA Secrets Revealed? “Our son has had four hip surgeries in three years. After the third surgery, he began having Staph infections. He begin having diarrhea and digestive issues… all the while having been on antibiotics. Last fall he started to have more severe abscesses. That is when I found your website… and hope. I downloaded your book and started on your protocol. He has had NO recurrence of ANY boils or abscesses or major pimples of any kind. He is one happy camper! It’s your right to be healthy and not live in fear of infections. 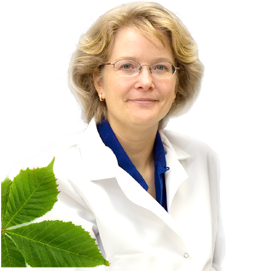 This Program has Helped Over 16,000 Staph and MRSA Sufferers. It is the ONLY step-by-step road-map to permanent freedom from these infections. Get the Program now and seize back control of your life! Want instant access right now? Get the electronic Program (e-book version) you can read on your computer for Just $37 (USD). I am so confident that you will stop your infection, stop re-infections, and experience better quality of life that I am going to give you four months to read and act on the contents of this program. If you are not absolutely satisfied with your program, just return it any time within 120 days and you’ll get a prompt and hassle-free refund for the full cost of your program. You have nothing to lose – all the risk is mine. So go ahead – try it today! * Testimonial Disclaimer: Each individual’s success depends on his or her background, dedication, desire and motivation. As all health issues have inherent risk, our information and testimonials are not intended to infer or guarantee that anyone will achieve the same or similar results. Click here for our full testimonial disclaimer.